Work is central to our sense of identity, our family dynamics, and our motivation. We spend more time on the job than we do in almost any other aspect of our lives. And yet according to Gallup and numerous other studies of employees today, most people report feeling disengaged, disconnected, and dispirited on the job most of the time. 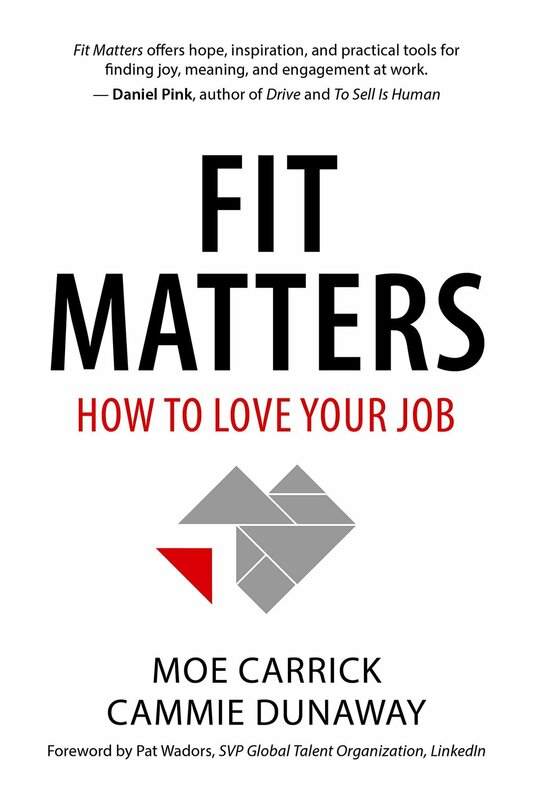 A great work fit brings us joy, connection, and meaning, and when we are misfit in a job, it affects everything we do and how we do it. This, in turn, affects the results of our organization. I believe that you can thrive at work, and when you do, you will find more joy and fulfillment, get results for your organization and ultimately, make the world better. Lets get on it! Moe is writing book two! Launching May, 2019 with Maven House Press. Shawn Murphy reviewed Fit Matters here. Conscious Company featured Moe here. Success.com had Moe talk about gossip over here. The Cascade Business Journal has Moe talking about problem solving, job fit, lessons from her daughter, the 2017 TEDxBend event, men and feminism, worth and value, and slow learning. Muse Magazine featured Moe here. Conscious thread came over for a chat with Moe and posted a brilliant interview here. Some of our favorite blog posts by Moe are about balance, Mental Health, startups failing, and freezing eggs.